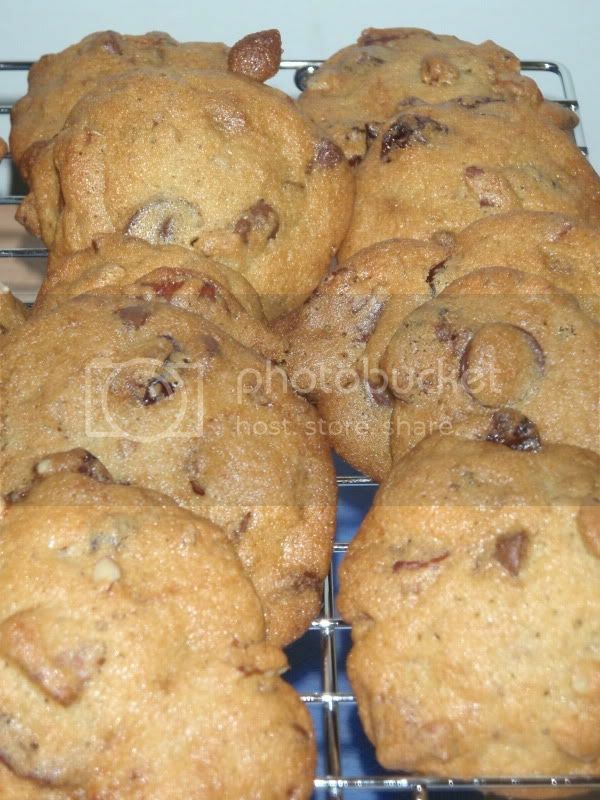 I absolutely love this recipe for Chocolate Chip Cookies with Dried Cherries and Pecans. This time I took pictures before eating (and packing them off to my husband), so I went back and updated this picture originally posted last year. That picture is a little sad because there were so few cookies left. A few modifications were made this time--not sure if they are suggested by the recipe and usually skipped in haste or whether these were inspiration of my own. (1) I toasted the pecans. (2) Used granulated sugar instead of brown (this switch was definitely because I was skimming the recipe. (3) I refrigerated the dough for at least 45 minutes. I only had about a half dozen leftover (wouldn't fit in the mailing box) to take to work and they went fast. Yum!